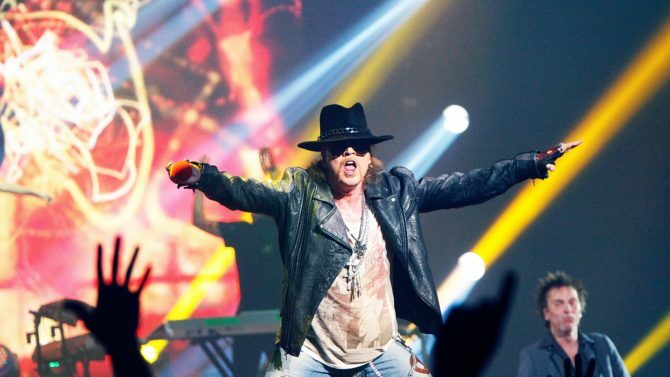 Axl Rose, Slash, Duff McKagan and the rest of the band’s current iteration will head out on tour this summer. The group tweeted a video Friday, revealing 21 cities where they’ll perform. Tour dates will be announced at a later time. Guns N’ Roses will reunite in Coachella next month and are also scheduled to play April 8th and 9th at Las Vegas’ T-Mobile Arena. Earlier this month, guitarist and co-founder Izzy Stradlin announced he wouldn’t be joining the band for any of their April shows, which also includes a few performances in Mexico.